When I first saw the TV Hat I had to check today’s date to make sure it wasn’t April the 1st, but it turns out that the TV Hat is a real product, designed to be used with your iPod or iPhone. 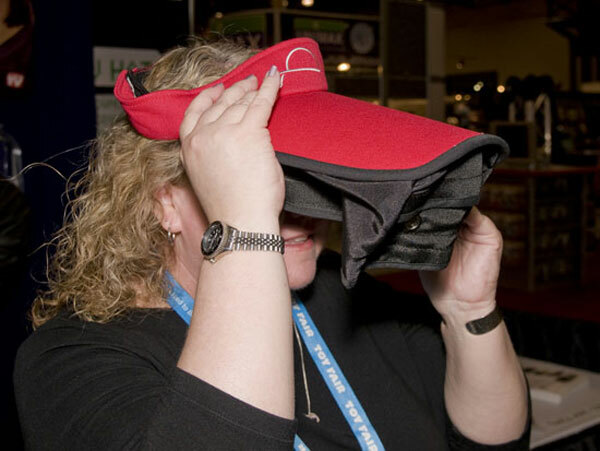 Basically the TV Hat is a baseball cap with a pouch on the end, that you place your iPod or iPhone into, it also feature a built in screen to magnify your iPod or iPhone’s screen. If you want one, and want to look like an idiot at the same time, the TV hat is available for $19.95 from Asseenontvhat.com.